Yikes! 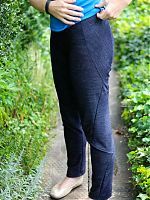 I actually made these leggings back in early July, but then it was so hot and sunny for weeks that I couldn’t bear to do the photoshoot, even though I was wearing them in the evenings a lot. 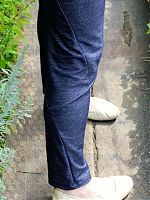 The impetus for these was that my beloved pleated “denim-look” leggings had come to the end of their life through heavy use. 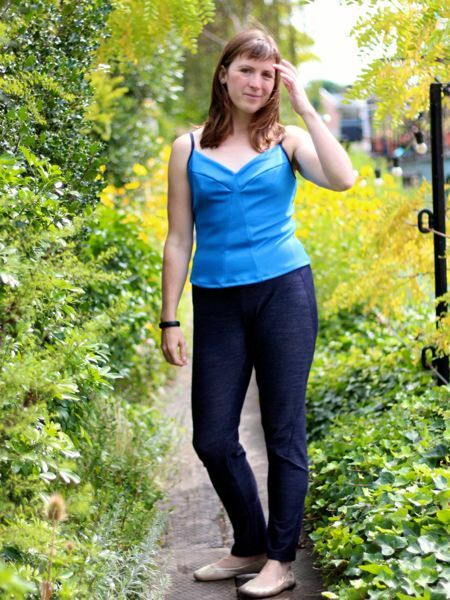 I’ve been trying to find the time to sew a new pair of denim-look leggings over the entire summer, even buying in the fabric ahead of time so it was all ready to go, but alas, other work had gotten in the way. 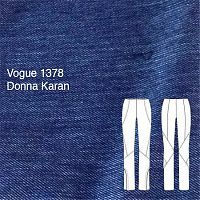 But then I finally had some spare time so I pulled out my denim-look jersey and Vogue 1378 – the Donna Karan separates pattern. 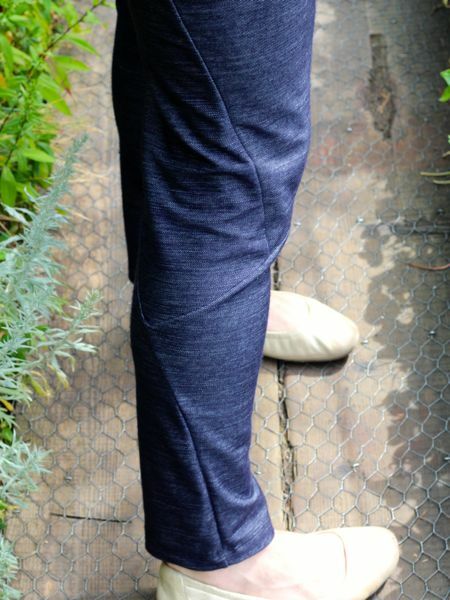 I’d made these leggings a few months ago in grey ponte, and I really like them – except for the floppy ankle opening things. Those really annoy me, limit my shoe choices to heels, and generally just don’t work for me. So I’d already altered the pattern by overlapping the two ankle pieces and drawing a new seam line where they intersect, and I used the modified pieces here. 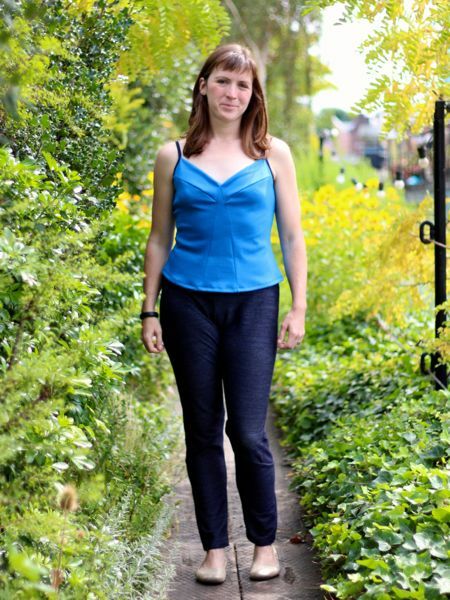 Seen here with my new Yellowtail Camisole – more on that later this week! I also took a good 2 inches out of the Centre Back seam last time, so I modified my pattern pieces for that, as well as adding a bit to the back crotch curve so it matched my Duathlon Shorts pattern‘s curve. The crotch in particular fit so much better now – it really is amazing how much difference 5mm makes! 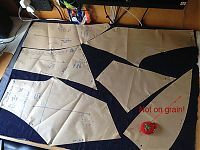 I’d only bought 1 metre of jersey, however, and I was determined to fit all the pieces in! 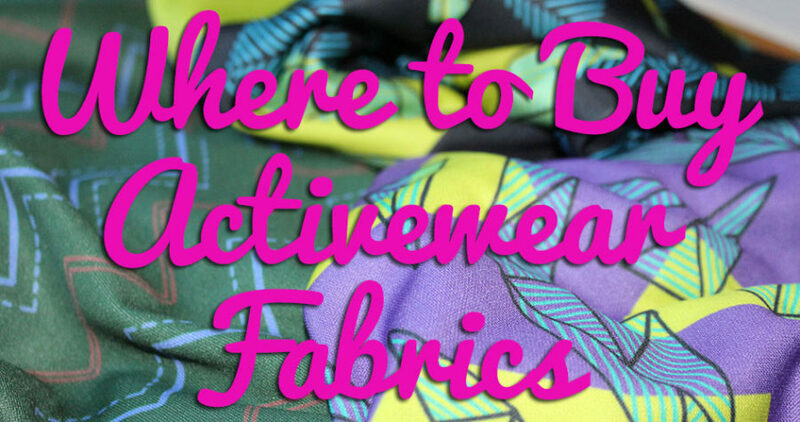 For the most part I was successful, but no matter how much Fabric Tetris I played, there was always one piece that wouldn’t quite fit. So I opted to place the side hip piece at an angle to make the fabric’s lines a feature after double checking that there was still ample stretch in that direction. The ankle is still a bit experimental, but I think it really works! I’d take it in another inch or so on my next pair, though, so that the ankle fit is closer still. 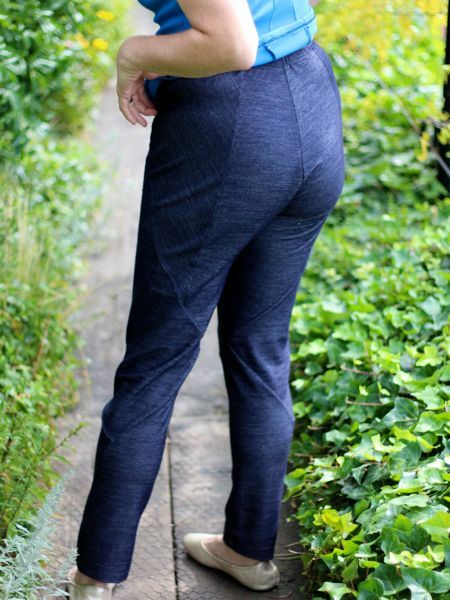 It hangs more like a trouser here than a legging, I think. 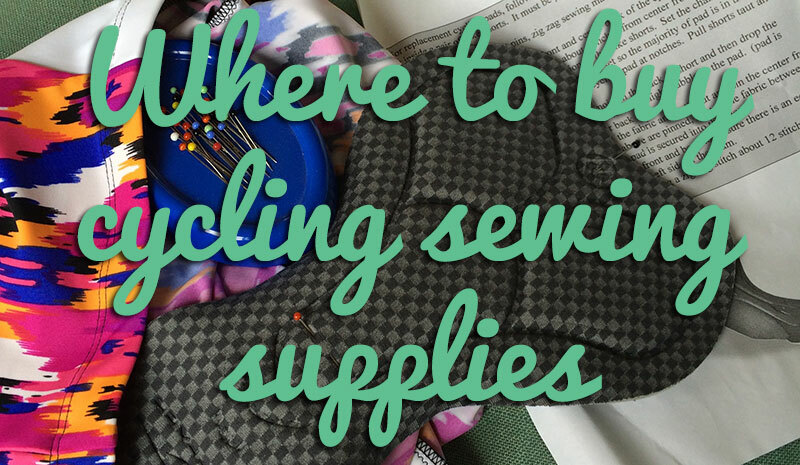 As I mentioned in my last review, I don’t really like the seam finish described in the instructions, so I just used regular overlocked (serged) seams again, really only referring to the instructions to get the order of construction correct. I was amazed how quickly these came together, despite the number of pieces! 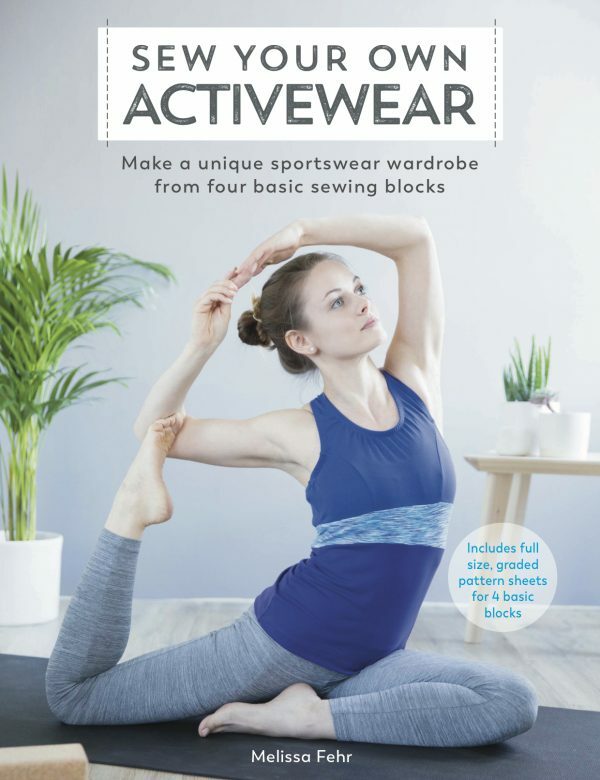 Again, I used my own waistband elastic method that I used on all my leggings (and which you’ll be familiar with if you’ve sewn my PB Jam Leggings or Duathlon Shorts), rather than Vogue’s bizarre “double lines of straight stitching” thing. Have they not heard of double needles or something?? In any case, these new denim-look leggings get two thumbs up from me! Long may they last, and be as comfortable and versatile as their predecessors. 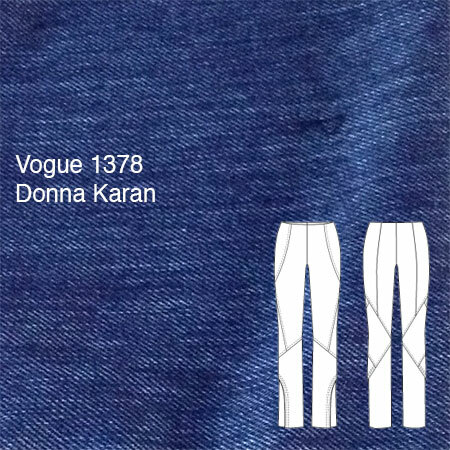 Separator image Posted in Gallery and tagged with designer, knit, trousers, vogue.